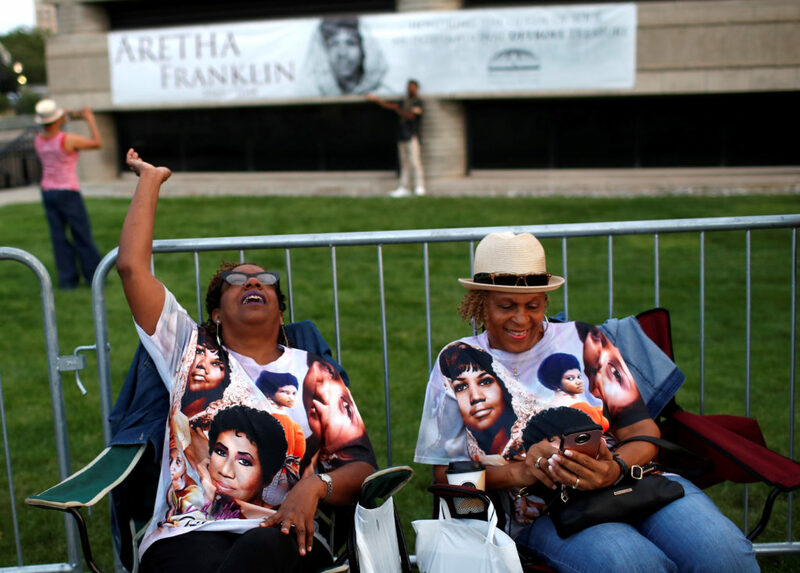 DETROIT — Mourners began pouring into Detroit’s Charles H. Wright Museum of African American History on Tuesday to pay their final respects to Aretha Franklin. 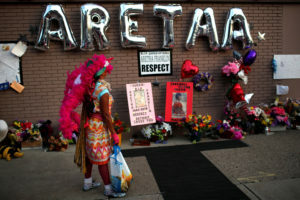 The shoes, in particular, show “The Queen of Soul is diva to the end,” Green said. 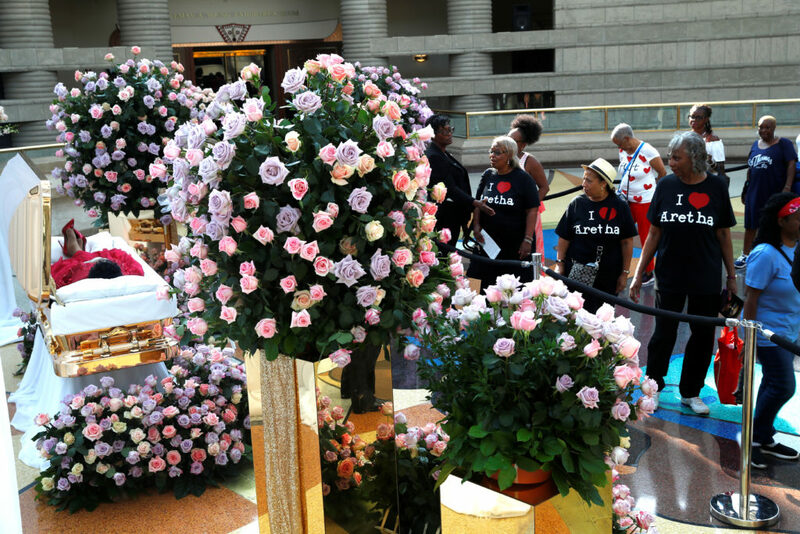 “I think it’s incredibly significant — she is being honored almost like a queen at one of the most important black museums in the United States,” said Seniors, who visited the museum several years ago when she was in Detroit doing research. To be sure, Franklin did not consider herself a catalyst for the women’s movement or on the front lines of the fight for civil rights. 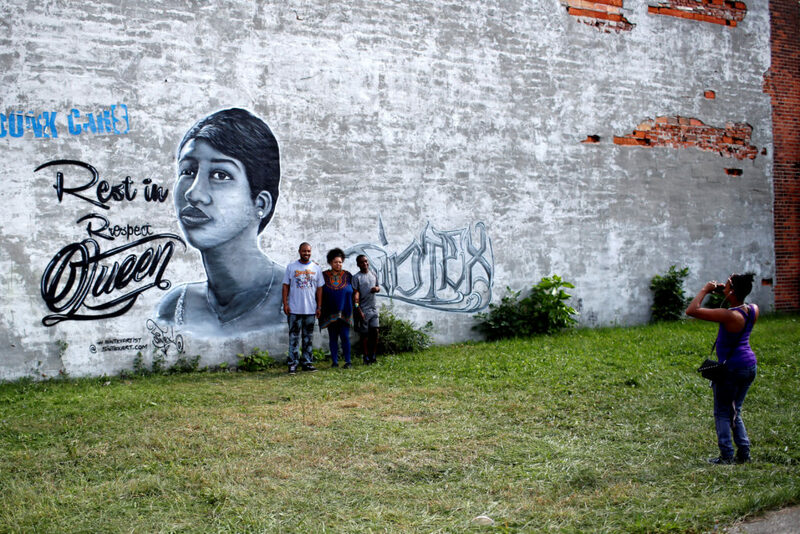 But she represented and pushed for both in ways big and small — none, perhaps, more prominently or simultaneously as her mold-breaking take on the Otis Redding song, “Respect.” She later said that with her interpretation — which even Redding acknowledged became the standard — sought to convey a message about the need to respect women, people of color, children and all people. The museum, which had been the largest black museum in the U.S. until the National Museum of African American History and Culture opened in Washington, D.C., in 2016, also hosted similar viewings for civil rights icon Rosa Parks after her 2005 death. 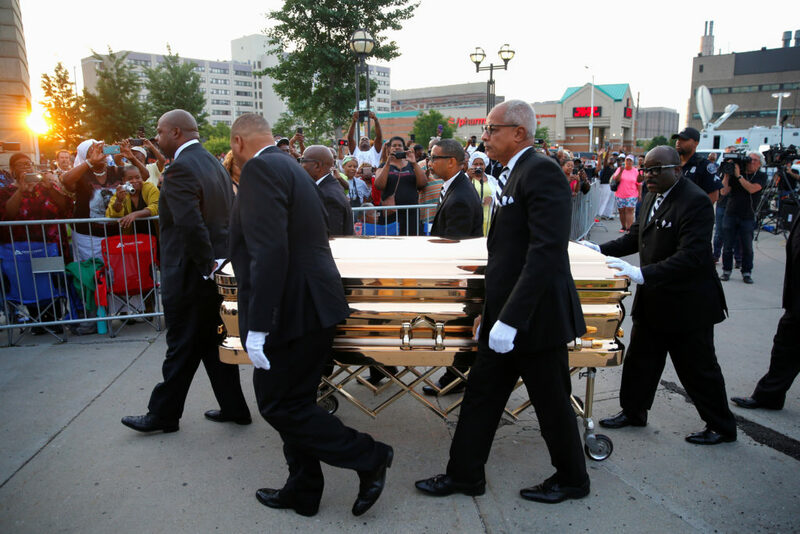 In further symbolic symmetry, Franklin sang at Parks’ funeral, which was held at the same Detroit church as Franklin’s, and the singer will be entombed in the same cemetery as Parks. The women came to their activism from different places and used different techniques, but “in the long run, they were both fighting for the same cause, which is freedom,” Seniors said. Seniors said if she could attend the viewings, she would bring her 8-year-old daughter, Shakeila, who has sung along with Franklin’s videos.